On a loved one’s worst day, do you know what to do? 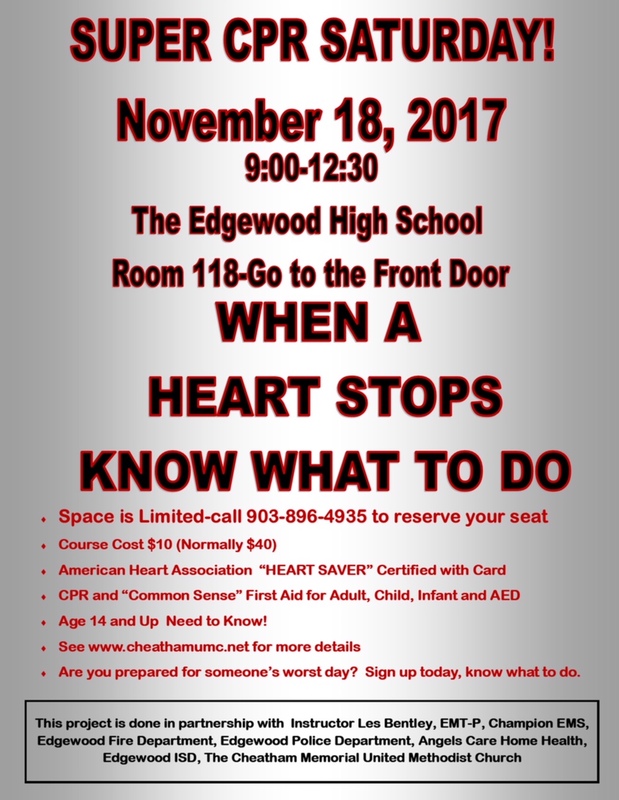 On Saturday we will have a CPR certification at the High School room 118 from 9:00 – 112:30. You will leave knowing what to do if someone’s heart stops. We will also have a section on First Aid.